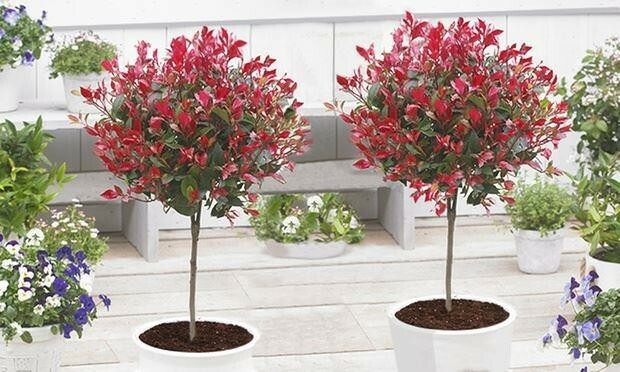 A pair of these fantastic new Photinias are excellent for flanking a set of steps, doorway or path. 'Little Red Robin' is one of our recommended plants, as they are absolutely perfect for planting in well-drained terracotta pots or classy zinc containers in full sun, or partial shade, where the glossy, dark-green leaves, tinted purple-red in Autumn and winter, with bright red new growth for the rest of the year, provide fantastic foliage colour, interest and structure. 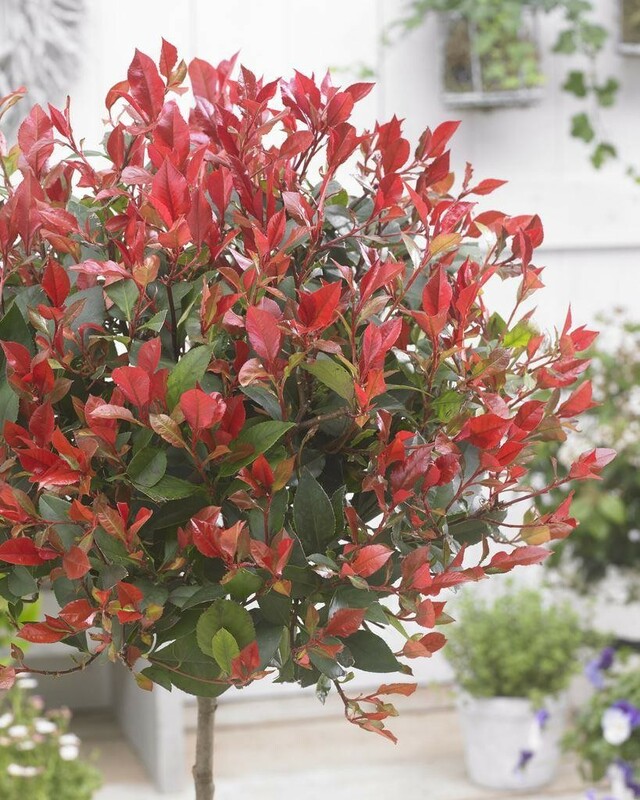 You'll think of many different position in which to try this fantastic compact variety of Photinia, 'Little Red Robin' has the benefit of being easily manageable and staying neat and compact unlike traditional larger leaved Red Robin Photinias. 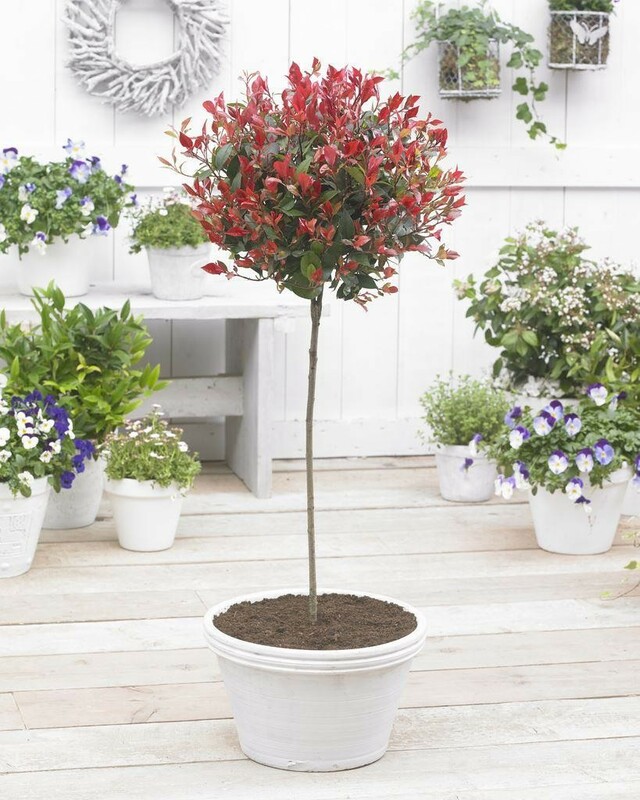 If you want the look of bay trees with a bit of a twist, these could be the perfect choice, they are also hardier and easy to grow where bays can sometime fail to thrive. 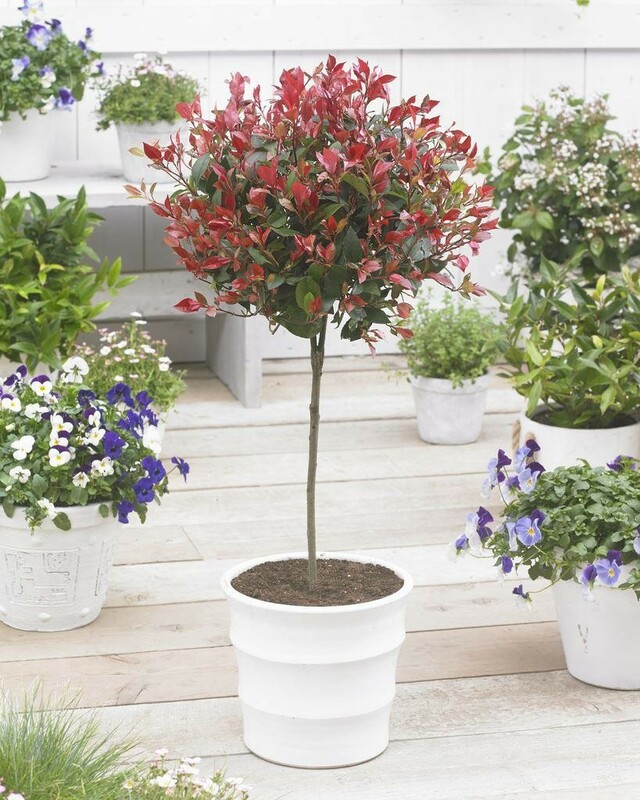 TWO strong plants supplied in approx 7 litre containers, with a 'lollipop' ball of foliage on top of a nice clear stem, with an overall height of around 120cms. Very well established specimen plants. We always select closely matching specimens so they'll look nice when displayed together.